"Coming from Rhode Island, a very ethnic state, this soup was traditionally served at Italian weddings. Serve with grated Parmesan cheese." 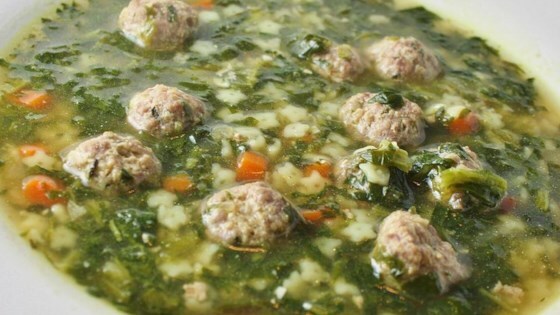 A colorful and delicious Italian-inspired soup with meatballs and orzo. I subbed in frozen chopped spinach for the escarole-this was delicious and easy!